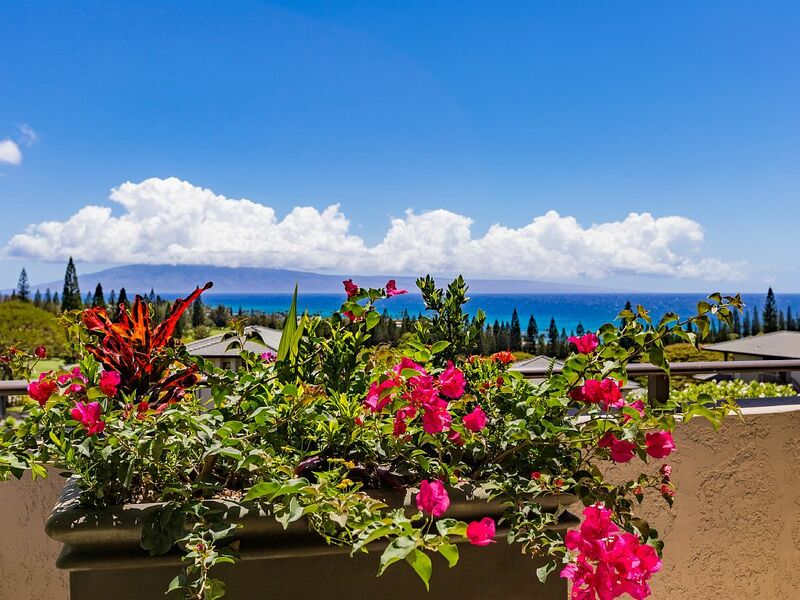 Welcome to Hale O Kapalua which translates to 'Home where arms embrace the sea'. 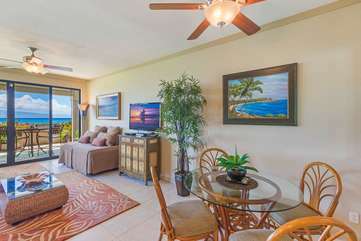 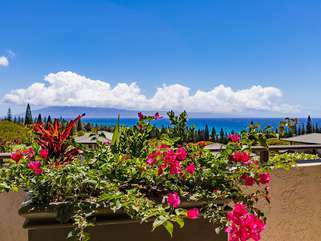 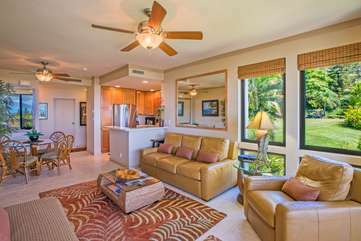 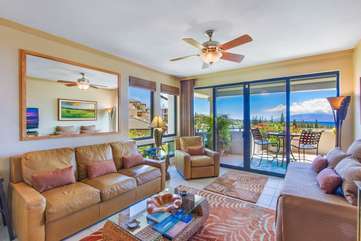 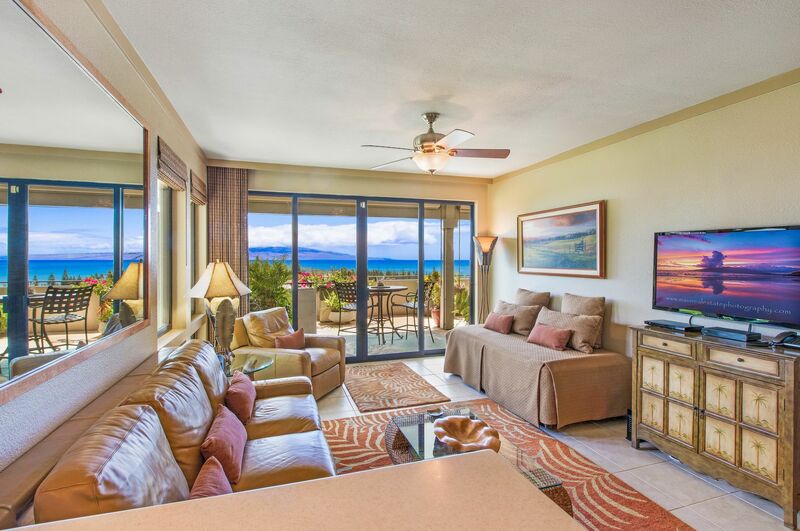 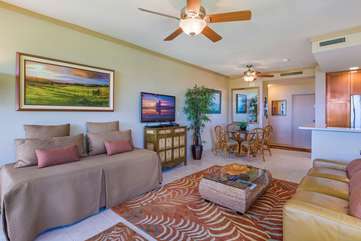 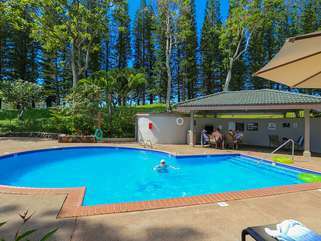 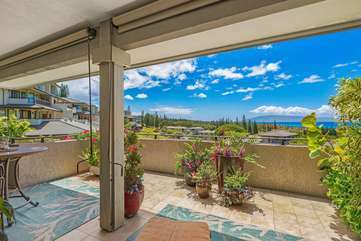 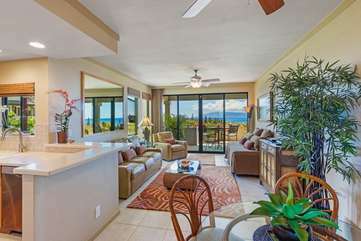 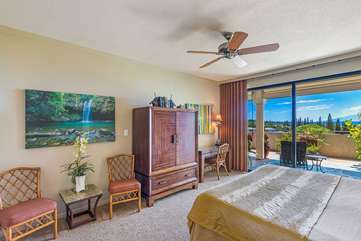 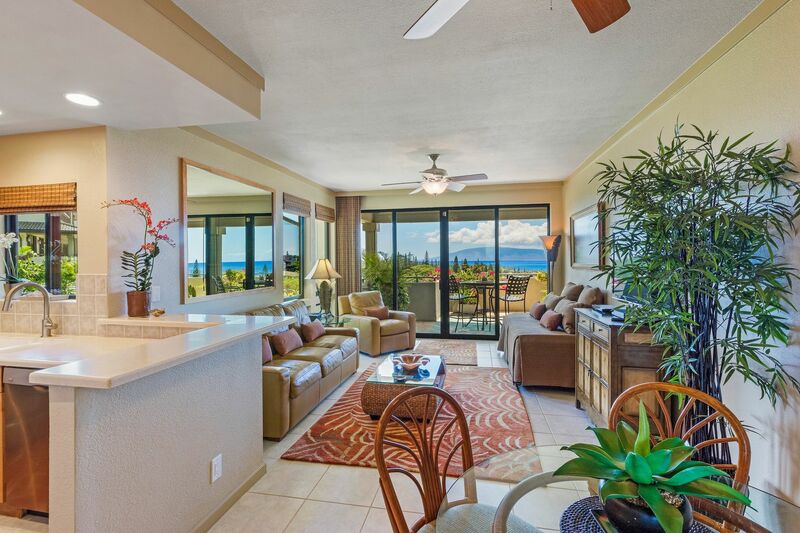 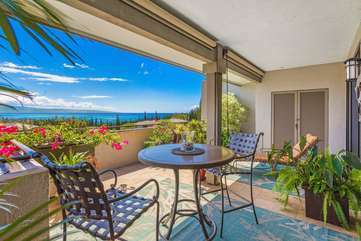 Hale O Kapalua is one of the newest additions to the Platinum Maui Vacations Ohana. 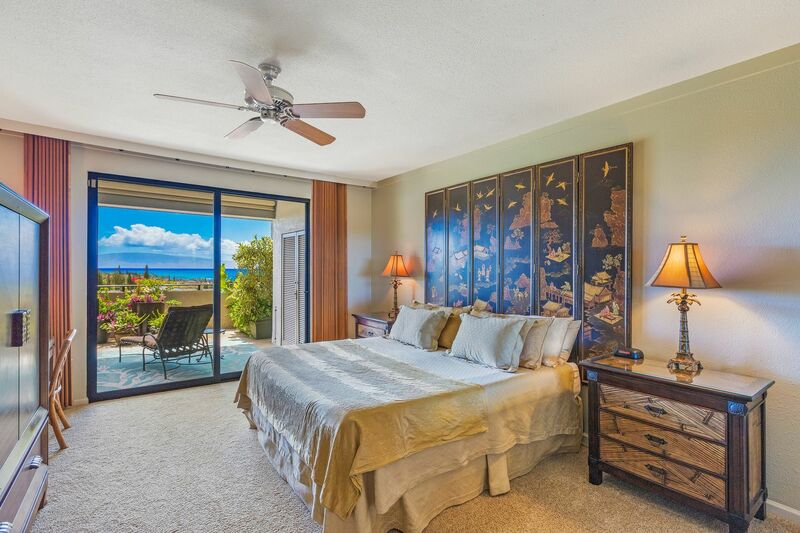 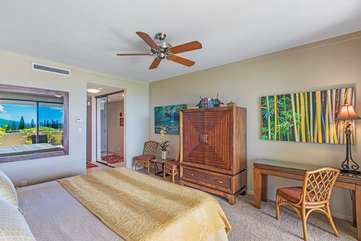 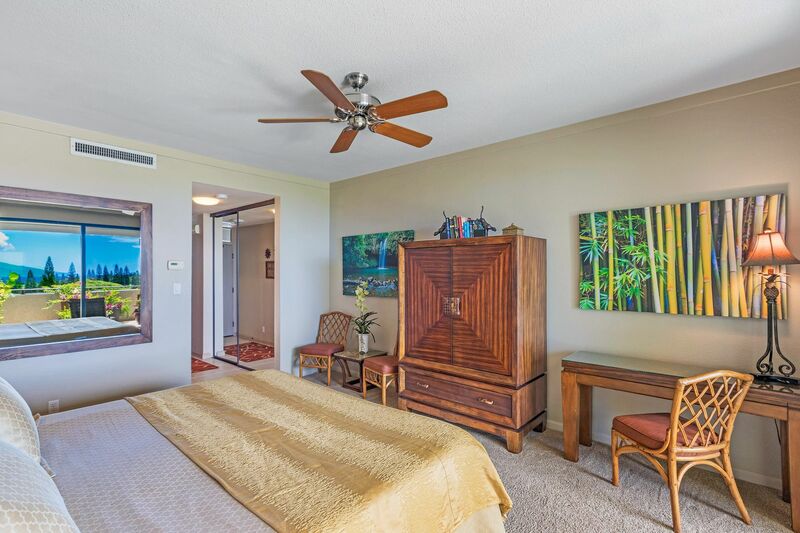 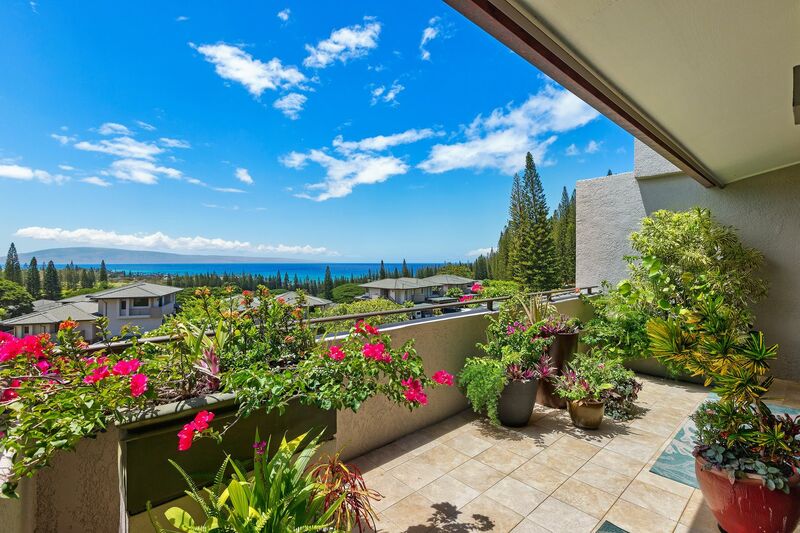 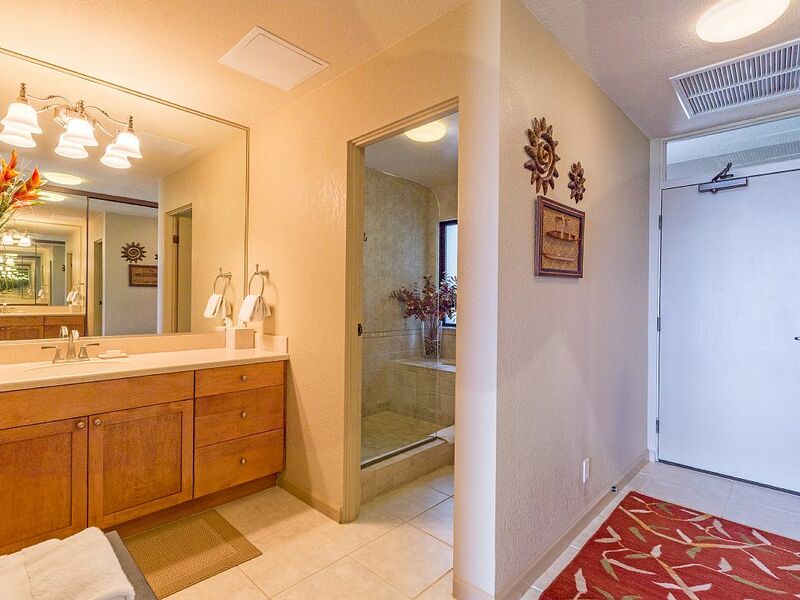 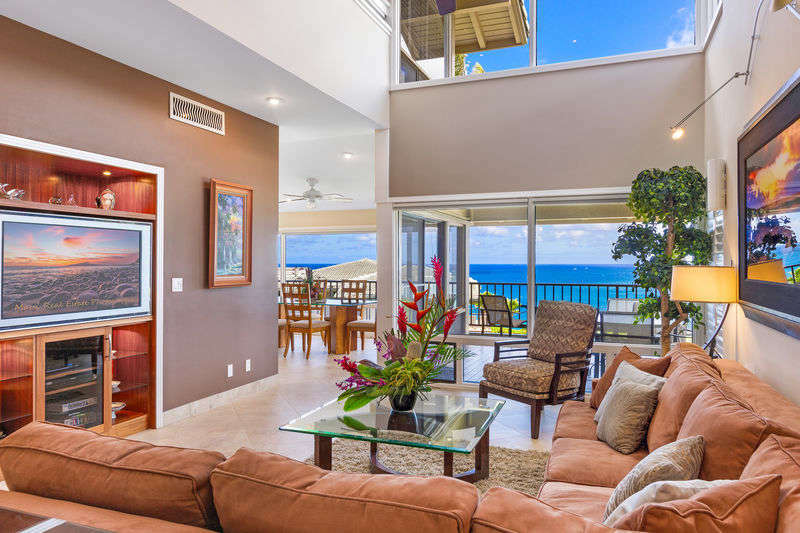 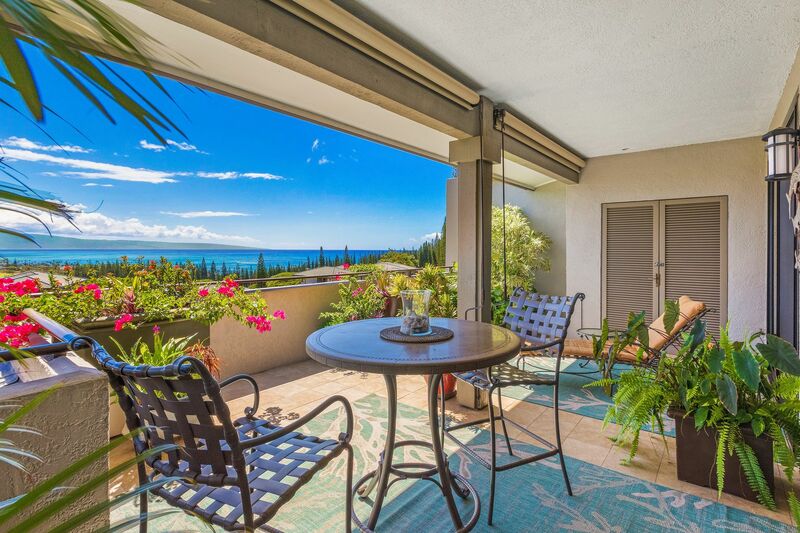 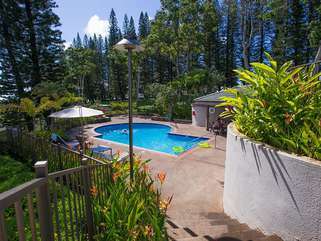 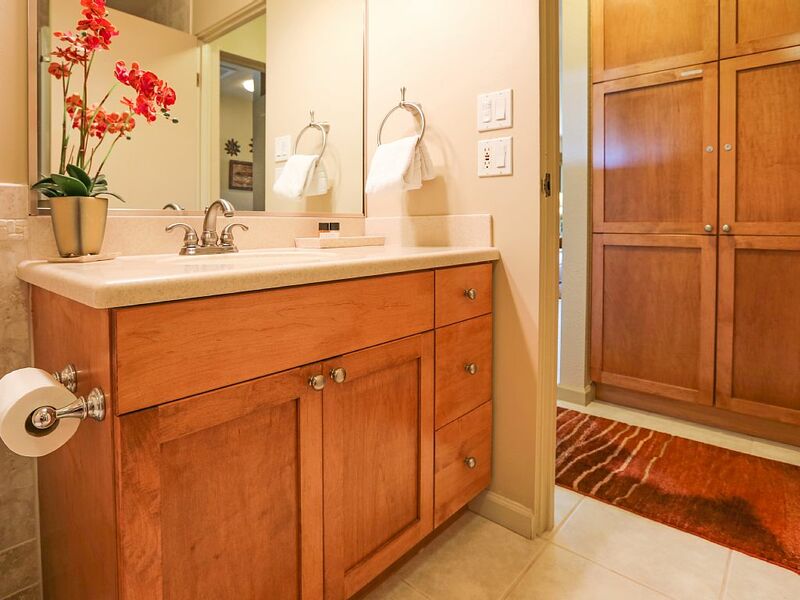 We are excited to add this unique top row, 1 bedroom, 2 bath Kapalua Golf Villa with Amazing Ocean Views to our ohana or family of properties. Even more, we are pleased to offer our discriminating travelers this level of comfort for a reasonable price. 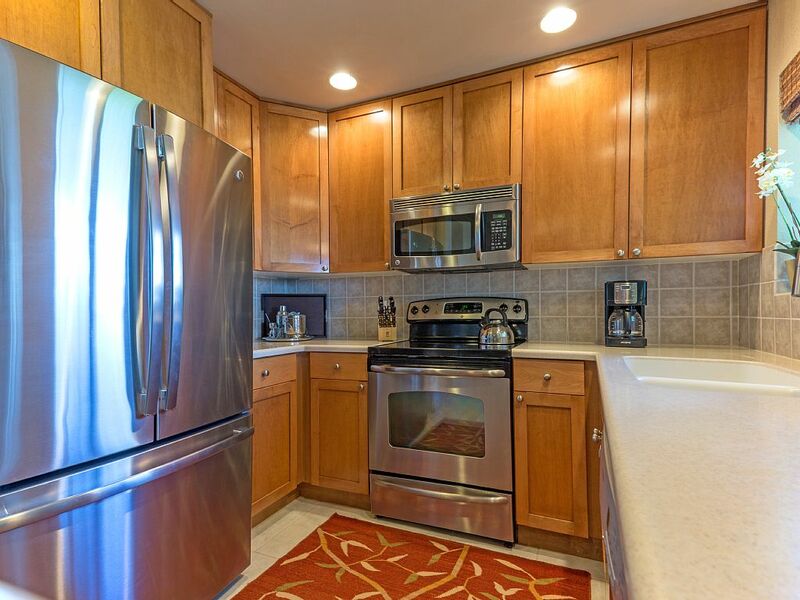 ~ Grocery stocking and concierge services. 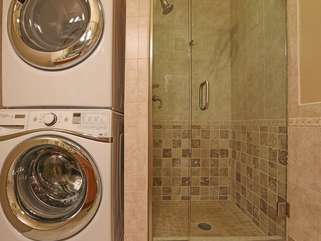 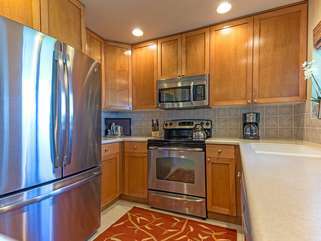 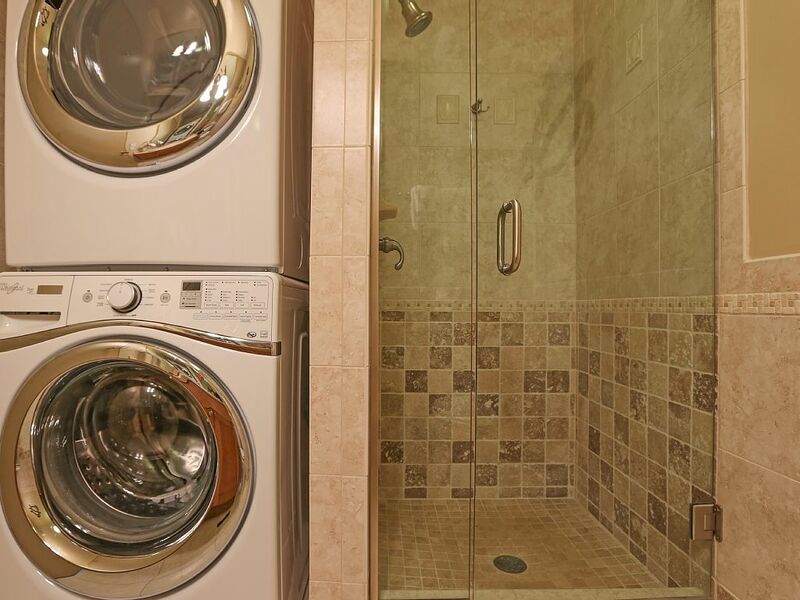 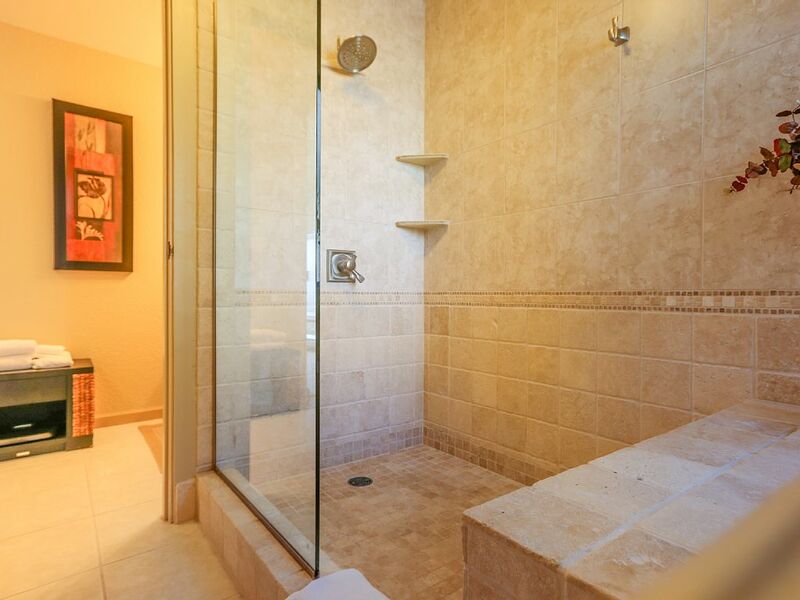 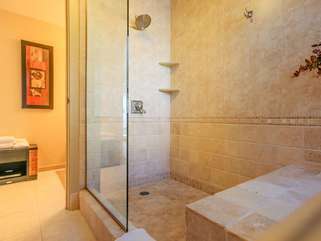 ~ Dedicated & covered parking, FREE Resort Shuttle & No Hidden Fees! 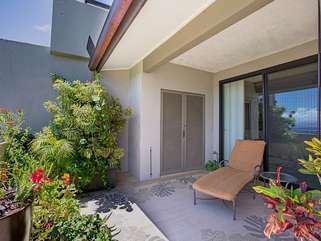 Totally updated and redecorated this comfortable villa has many extra amenities not found in other villas like the new 8' tall dual pane slider doors offering a better buffer to the gorgeous but warm afternoon sun and if that were not enough, there is also a set of crank down sun shades that further reduce the suns rays should you decide to use them. 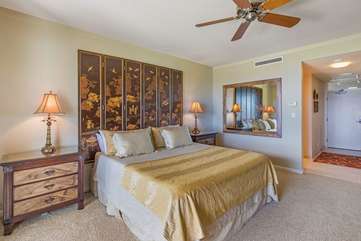 There is a Tempurpedic king size bed in the master suite, an American leather sofa with a quality sleeper in living room and the addition of a Tempurpedic twin sized daybed also in the living room adds flexibility for up to 4 very comfortable guests. 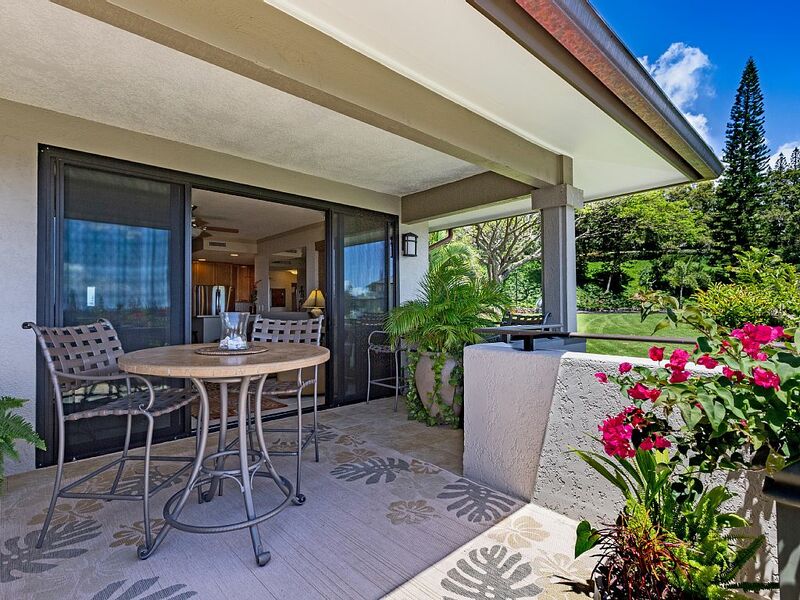 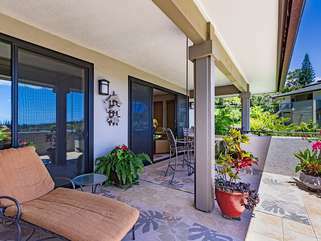 Surrounded by potted tropical plants, absorb the ambiance with a quiet breakfast or sunset glass of wine on the extra large lanai. 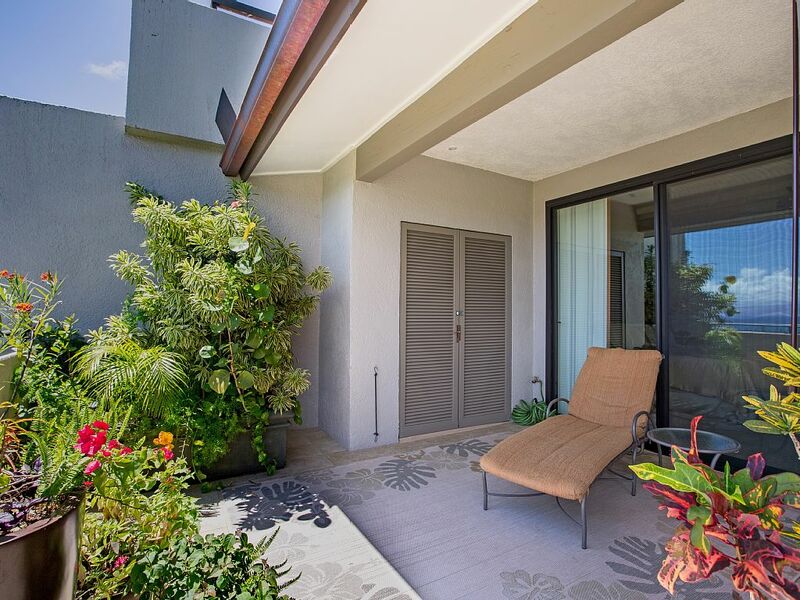 The beautiful bougainvillea and other botanical's on the lanai are cared for lovingly by our caretaker, Josie, making your private space feel like a Hawaiian tropical garden. 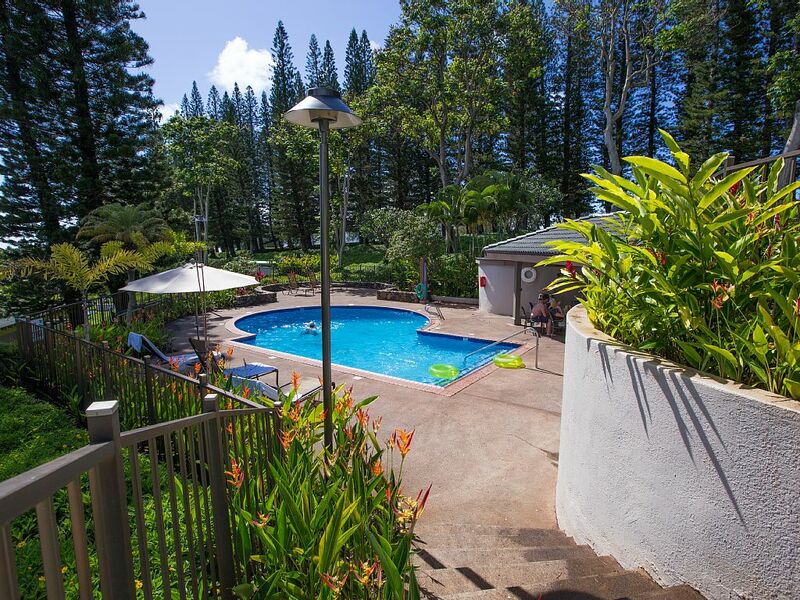 ** Please note that a cleaning fee of $175 + tax will be charged for Hale O Kapalua.